Free boundary problems for partial differential equation describe problems such that a partial differential equation is considered on a domain depending on the solution to the equation. M. Hintermüller, D. Wegner, Distributed and Boundary Control Problems for the Semidiscrete Cahn--Hilliard/Navier--Stokes System with Nonsmooth Ginzburg--Landau Energies, in: Topological Optimization and Optimal Transport in the Applied Sciences, M. Bergounioux, E. Oudet, M. Rumpf, G. Carlier, Th. Champion, F. Santambrogio, eds., 17 of Radon Series on Computational and Applied Mathematics, De Gruyter, Berlin, 2017, pp. 40--63, (Chapter Published). E. Valdinoci, ed., Contemporary PDEs between theory and applications, 35 of Discrete and Continuous Dynamical Systems Series A, American Institute of Mathematical Sciences, Springfield, 2015, 625 pages, (Collection Published). P. Colli, A. Damlamian, N. Kenmochi, M. Mimura, J. Sprekels, eds., Proceedings of International Conference on: Nonlinear Phenomena with Energy Dissipation: Mathematical Analysis, Modeling and Simulation, 29 of Gakuto International Series Mathematical Sciences and Applications, Gakkōtosho, Tokyo, 2008, 475 pages, (Collection Published). P. Colli, N. Kenmochi, J. Sprekels, eds., Dissipative Phase Transitions, 71 of Series on Advances in Mathematics for Applied Sciences, World Scientific, Singapore, 2006, xii+300 pages, (Collection Published). A. Ceretani, C.N. Rautenberg, The Boussinesq system with mixed non-smooth boundary conditions and ``do-nothing'' boundary flow, Zeitschrift fur Angewandte Mathematik und Physik. ZAMP. Journal of Applied Mathematics and Physics. Journal de Mathematiques et de Physique Appliquees, 14 (2019), pp. 1--24 (published online on 07.12.2018), DOI 10.1007/s00033-018-1058-y . A stationary Boussinesq system for an incompressible viscous fluid in a bounded domain with a nontrivial condition at an open boundary is studied. We consider a novel non-smooth boundary condition associated to the heat transfer on the open boundary that involves the temperature at the boundary, the velocity of the fluid, and the outside temperature. We show that this condition is compatible with two approaches at dealing with the do-nothing boundary condition for the fluid: 1) the directional do-nothing condition and 2) the do-nothing condition together with an integral bound for the backflow. Well-posedness of variational formulations is proved for each problem. T. Ahnert, A. Münch, B. Niethammer, B. Wagner, Stability of concentrated suspensions under Couette and Poiseuille flow, Journal of Engineering Mathematics, (2018), published online on 21.02.2018, DOI 10.1007/s10665-018-9954-x . The stability of two-dimensional Poiseuille flow and plane Couette flow for concentrated suspensions is investigated. Linear stability analysis of the two-phase flow model for both flow geometries shows the existence of a convectively driven instability with increasing growth rates of the unstable modes as the particle volume fraction of the suspension increases. In addition it is shown that there exists a bound for the particle phase viscosity below which the two-phase flow model may become ill-posed as the particle phase approaches its maximum packing fraction. The case of two-dimensional Poiseuille flow gives rise to base state solutions that exhibit a jammed and unyielded region, due to shear-induced migration, as the maximum packing fraction is approached. The stability characteristics of the resulting Bingham-type flow is investigated and connections to the stability problem for the related classical Bingham-flow problem are discussed. H. Antil, C. Rautenberg, Fractional elliptic quasi-variational inequalities: Theory and numerics, Interfaces and Free Boundaries. Mathematical Modelling, Analysis and Computation, 20 (2018), pp. 1--24, DOI 10.4171/IFB/395 . P. Colli, G. Gilardi, J. Sprekels, On a Cahn--Hilliard system with convection and dynamic boundary conditions, Annali di Matematica Pura ed Applicata. Serie Quarta. Fondazione Annali di Matematica Pura ed Applicata, c/o Dipartimento di Matematica ``U. Dini'', Firenze; Springer-Verlag, Heidelberg. English, French, German, Italian, English abstracts., 197 (2018), pp. 1445--1475, DOI 10.1007/s10231-018-0732-1 . This paper deals with an initial and boundary value problem for a system coupling equation and boundary condition both of Cahn--Hilliard type; an additional convective term with a forced velocity field, which could act as a control on the system, is also present in the equation. Either regular or singular potentials are admitted in the bulk and on the boundary. Both the viscous and pure Cahn--Hilliard cases are investigated, and a number of results is proven about existence of solutions, uniqueness, regularity, continuous dependence, uniform boundedness of solutions, strict separation property. A complete approximation of the problem, based on the regularization of maximal monotone graphs and the use of a Faedo--Galerkin scheme, is introduced and rigorously discussed. M. Hintermüller, M. Hinze, Ch. Kahle, T. Keil, A goal-oriented dual-weighted adaptive finite element approach for the optimal control of a nonsmooth Cahn--Hilliard--Navier--Stokes system, Optimization and Engineering. International Multidisciplinary Journal to Promote Optimization Theory & Applications in Engineering Sciences, 19 (2018), pp. 629--662, DOI 10.1007/s11081-018-9393-6 . This paper is concerned with the development and implementation of an adaptive solution algorithm for the optimal control of a time-discrete Cahn--Hilliard--Navier--Stokes system with variable densities. The free energy density associated to the Cahn--Hilliard system incorporates the double-obstacle potential which yields an optimal control problem for a family of coupled systems in each time instant of a variational inequality of fourth order and the Navier--Stokes equation. A dual-weighed residual approach for goal-oriented adaptive finite elements is presented which is based on the concept of C-stationarity. The overall error representation depends on primal residual weighted by approximate dual quantities and vice versa as well as various complementary mismatch errors. Details on the numerical realization of the adaptive concept and a report on numerical tests are given. W. Dreyer, C. Guhlke, Sharp limit of the viscous Cahn--Hilliard equation and thermodynamic consistency, Continuum Mechanics and Thermodynamics, 29 (2017), pp. 913--934. Diffuse and sharp interface models represent two alternatives to describe phase transitions with an interface between two coexisting phases. The two model classes can be independently formulated. Thus there arises the problem whether the sharp limit of the diffuse model fits into the setting of a corresponding sharp interface model. We call a diffuse model admissible if its sharp limit produces interfacial jump conditions that are consistent with the balance equations and the 2nd law of thermodynamics for sharp interfaces. We use special cases of the viscous Cahn-Hilliard equation to show that there are admissible as well as non-admissible diffuse interface models. H. Antil, M. Hintermüller, R.H. Nochetto, Th.M. Surowiec, D. Wegner, Finite horizon model predictive control of electrowetting on dielectric with pinning, Interfaces and Free Boundaries. Mathematical Modelling, Analysis and Computation, 19 (2017), pp. 1--30, DOI 10.4171/IFB/375 . P. Colli, G. Gilardi, E. Rocca, J. Sprekels, Optimal distributed control of a diffuse interface model of tumor growth, Nonlinearity, 30 (2017), pp. 2518--2546. In this paper, a distributed optimal control problem is studied for a diffuse interface model of tumor growth which was proposed by Hawkins--Daruud et al. in citeHZO. The model consists of a Cahn-Hilliard equation for the tumor cell fraction $vp$ coupled to a reaction-diffusion equation for a function $s$ representing the nutrient-rich extracellular water volume fraction. The distributed control $u$ monitors as a right-hand side the equation for $s$ and can be interpreted as a nutrient supply or a medication, while the cost function, which is of standard tracking type, is meant to keep the tumor cell fraction under control during the evolution. We show that the control-to-state operator is Fréchet differentiable between appropriate Banach spaces and derive the first-order necessary optimality conditions in terms of a variational inequality involving the adjoint state variables. P. Colli, G. Gilardi, E. Rocca, J. Sprekels, Asymptotic analyses and error estimates for a Cahn--Hilliard type phase field system modelling tumor growth, Discrete and Continuous Dynamical Systems, 10 (2017), pp. 37--54. P. Krejčí, E. Rocca, J. Sprekels, Unsaturated deformable porous media flow with thermal phase transition, Mathematical Models & Methods in Applied Sciences, 27 (2017), pp. 2675--2710, DOI 10.1142/S0218202517500555 . In the present paper, a continuum model is introduced for fluid flow in a deformable porous medium, where the fluid may undergo phase transitions. Typically, such problems arise in modeling liquid-solid phase transformations in groundwater flows. The system of equations is derived here from the conservation principles for mass, momentum, and energy and from the Clausius-Duhem inequality for entropy. It couples the evolution of the displacement in the matrix material, of the capillary pressure, of the absolute temperature, and of the phase fraction. Mathematical results are proved under the additional hypothesis that inertia effects and shear stresses can be neglected. For the resulting highly nonlinear system of two PDEs, one ODE and one ordinary differential inclusion with natural initial and boundary conditions, existence of global in time solutions is proved by means of cut-off techniques and suitable Moser-type estimates. J. Sprekels, E. Valdinoci, A new type of identification problems: Optimizing the fractional order in a nonlocal evolution equation, SIAM Journal on Control and Optimization, 55 (2017), pp. 70--93. In this paper, we consider a rather general linear evolution equation of fractional type, namely a diffusion type problem in which the diffusion operator is the power of a positive definite operator having a positive and discrete spectrum. We prove existence, uniqueness and differentiability properties with respect to the fractional parameter. These results are then employed to derive existence as well as first-order necessary and second-order sufficient optimality conditions for a minimization problem, which is inspired by considerations in mathematical biology. In this problem, the fractional parameter $s$ serves as the “control parameter” that needs to be chosen in such a way as to minimize a given cost functional. This problem constitutes a new classof identification problems: while usually in identification problems the type of the differential operator is prescribed and one or several of its coefficient functions need to be identified, in the present case one has to determine the type of the differential operator itself. This problem exhibits the inherent analytical difficulty that with changing fractional parameter also the domain of definition, and thus the underlying function space, of the fractional operator changes. M. Hintermüller, C.N. Rautenberg, On the uniqueness and numerical approximation of solutions to certain parabolic quasi-variational inequalities, Portugaliae Mathematica. A Journal of the Portuguese Mathematical Society, 74 (2017), pp. 1--35. A class of abstract nonlinear evolution quasi-variational inequality (QVI) problems in function space is considered. The abstract framework developed in this paper includes constraint sets of obstacle and gradient type. The paper address the existence, uniqueness and approximation of solutions when the constraint set mapping is of a special form. Uniqueness is addressed through contractive behavior of a nonlinear mapping whose fixed points are solutions to the QVI. An axiomatic semi-discrete approximation scheme is developed, which is proven to be convergent and which is numerically implemented. The paper ends by a report on numerical tests for several nonlinear constraints of gradient-type. M. Cozzi, A. Farina, E. Valdinoci, Monotonicity formulae and classification results for singular, degenerate, anisotropic PDEs, Advances in Mathematics, 293 (2016), pp. 343--381. We consider possibly degenerate and singular elliptic equations in a possibly anisotropic medium. We obtain monotonicity results for the energy density, rigidity results for the solutions and classi?cation results for the singularity/degeneracy/anisotropy allowed. As far as we know, these results are new even in the case of non-singular and non- degenerate anisotropic equations. S.P. Frigeri, Global existence of weak solutions for a nonlocal model for two-phase flows of incompressible fluids with unmatched densities, Mathematical Models & Methods in Applied Sciences, 26 (2016), pp. 1957--1993. We consider a diffuse interface model for an incompressible isothermal mixture of two viscous Newtonian fluids with different densities in a bounded domain in two or three space dimensions. The model is the nonlocal version of the one recently derived by Abels, Garcke and Grün and consists of a Navier-Stokes type system coupled with a convective nonlocal Cahn-Hilliard equation. The density of the mixture depends on an order parameter. For this nonlocal system we prove existence of global dissipative weak solutions for the case of singular double-well potentials and non degenerate mobilities. To this goal we devise an approach which is completely independent of the one employed by Abels, Depner and Garcke to establish existence of weak solutions for the local Abels et al. model. M. Dai, E. Feireisl, E. Rocca, G. Schimperna, M.E. Schonbek, On asymptotic isotropy for a hydrodynamic model of liquid crystals, Asymptotic Analysis, 97 (2016), pp. 189--210. We study a PDE system describing the motion of liquid crystals by means of the Q?tensor description for the crystals coupled with the incompressible Navier-Stokes system. Using the method of Fourier splitting, we show that solutions of the system tend to the isotropic state at the rate (1 + t)?? as t ? ? 1 for a certain ? > 2 . S. Dipierro, O. Savin, E. Valdinoci, Graph properties for nonlocal minimal surfaces, Calculus of Variations and Partial Differential Equations, 55 (2016), pp. 86/1--86/25. In this paper we show that a nonlocal minimal surface which is a graph outside a cylinder is in fact a graph in the whole of the space. As a consequence, in dimension 3, we show that the graph is smooth. The proofs rely on convolution techniques and appropriate integral estimates which show the pointwise validity of an Euler?Lagrange equation related to the nonlocal mean curvature. S. Patrizi, E. Valdinoci, Relaxation times for atom dislocations in crystals, Calculus of Variations and Partial Differential Equations, 55 (2016), pp. 71/1--71/44. We study the relaxation times for a parabolic differential equation whose solution represents the atom dislocation in a crystal. The equation that we consider comprises the classical Peierls?Nabarro model as a particular case, and it allows also long range interactions. It is known that the dislocation function of such a model has the tendency to concentrate at single points, which evolve in time according to the external stress and a singular, long range potential. Depending on the orientation of the dislocation function at these points, the potential may be either attractive or repulsive, hence collisions may occur in the latter case and, at the collision time, the dislocation function does not disappear. The goal of this paper is to provide accurate estimates on the relaxation times of the system after collision. More precisely, we take into account the case of two and three colliding points, and we show that, after a small transition time subsequent to the collision, the dislocation function relaxes exponentially fast to a steady state. In this sense, the system exhibits two different decay behaviors, namely an exponential time decay versus a polynomial decay in the space variables (and these two homogeneities are kept separate during the time evolution). A. Farina, E. Valdinoci, 1D symmetry for semilinear PDEs from the limit interface of the solution, Communications in Partial Differential Equations, 41 (2016), pp. 665--682. We study bounded, monotone solutions of ?u = W? (u) in the whole of ?n, where W is a double-well potential. We prove that under suitable assumptions on the limit interface and on the energy growth, u is 1D. In particular, differently from the previous literature, the solution is not assumed to have minimal properties and the cases studied lie outside the range of ?-convergence methods. We think that this approach could be fruitful in concrete situations, where one can observe the phase separation at a large scale and wishes to deduce the values of the state parameter in the vicinity of the interface. As a simple example of the results obtained with this point of view, we mention that monotone solutions with energy bounds, whose limit interface does not contain a vertical line through the origin, are 1D, at least up to dimension 4. M. Korzec, A. Münch, E. Süli, B. Wagner, Anisotropy in wavelet based phase field models, Discrete and Continuous Dynamical Systems. Series B. A Journal Bridging Mathematics and Sciences, 21 (2016), pp. 1167--1187. Anisotropy is an essential feature of phase-field models, in particular when describing the evolution of microstructures in solids. The symmetries of the crystalline phases are reflected in the interfacial energy by introducing corresponding directional dependencies in the gradient energy coefficients, which multiply the highest order derivative in the phase-field model. This paper instead considers an alternative approach, where the anisotropic gradient energy terms are replaced by a wavelet analogue that is intrinsically anisotropic and linear. In our studies we focus on the classical coupled temperature - Ginzburg-Landau type phase-field model for dendritic growth. For the resulting derivative-free wavelet analogue existence, uniqueness and continuous dependence on initial data for weak solutions is proved. 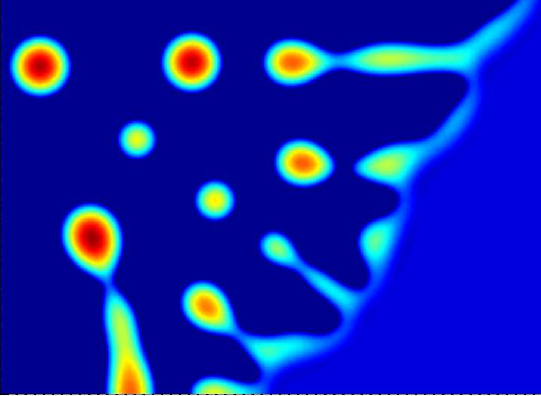 The ability to capture dendritic growth similar to the results obtained from classical models is investigated numerically. S.P. Frigeri, E. Rocca, J. Sprekels, Optimal distributed control of a nonlocal Cahn--Hilliard/Navier--Stokes system in two dimensions, SIAM Journal on Control and Optimization, 54 (2016), pp. 221 -- 250. We study a diffuse interface model for incompressible isothermal mixtures of two immiscible fluids coupling the Navier-Stokes system with a convective nonlocal Cahn-Hilliard equation in two dimensions of space. We apply recently proved well-posedness and regularity results in order to establish existence of optimal controls as well as first-order necessary optimality conditions for an associated optimal control problem in which a distributed control is applied to the fluid flow. M. Hintermüller, S. Rösel, A duality-based path-following semismooth Newton method for elasto-plastic contact problems, Journal of Computational and Applied Mathematics, 292 (2016), pp. 150--173. M. Hintermüller, Th. Surowiec, A bundle-free implicit programming approach for a class of elliptic MPECs in function space, Mathematical Programming Series A, 160 (2016), pp. 271--305. S. Patrizi, E. Valdinoci, Crystal dislocations with different orientations and collisions, Archive for Rational Mechanics and Analysis, 217 (2015), pp. 231--261. We study a parabolic differential equation whose solution represents the atom dislocation in a crystal for a general type of Peierls-Nabarro model with possibly long range interactions and an external stress. Differently from the previous literature, we treat here the case in which such dislocation is not the superpositions of transitions all occurring with the same orientations (i.e. opposite orientations are allowed as well). We show that, at a long time scale, and at a macroscopic space scale, the dislocations have the tendency to concentrate as pure jumps at points which evolve in time, driven by the external stress and by a singular potential. Due to differences in the dislocation orientations, these points may collide in finite time. E. Rocca, R. Rossi, ``Entropic'' solutions to a thermodynamically consistent PDE system for phase transitions and damage, SIAM Journal on Mathematical Analysis, 74 (2015), pp. 2519--2586. In this paper we analyze a PDE system modelling (non-isothermal) phase transitions and dam- age phenomena in thermoviscoelastic materials. The model is thermodynamically consistent: in particular, no small perturbation assumption is adopted, which results in the presence of quadratic terms on the right-hand side of the temperature equation, only estimated in L^1. The whole system has a highly nonlinear character. We address the existence of a weak notion of solution, referred to as “entropic”, where the temperature equation is formulated with the aid of an entropy inequality, and of a total energy inequality. This solvability concept reflects the basic principles of thermomechanics as well as the thermodynamical consistency of the model. It allows us to obtain global-in-time existence theorems without imposing any restriction on the size of the initial data. We prove our results by passing to the limit in a time discretization scheme, carefully tailored to the nonlinear features of the PDE system (with its “entropic” formulation), and of the a priori estimates performed on it. Our time-discrete analysis could be useful towards the numerical study of this model. S.P. Frigeri, M. Grasselli, E. Rocca, A diffuse interface model for two-phase incompressible flows with nonlocal interactions and nonconstant mobility, Nonlinearity, 28 (2015), pp. 1257--1293. We consider a diffuse interface model for incompressible isothermal mixtures of two immiscible fluids with matched constant densities. This model consists of the Navier-Stokes system coupled with a convective nonlocal Cahn-Hilliard equation with non-constant mobility. We first prove the existence of a global weak solution in the case of non-degenerate mobilities and regular potentials of polynomial growth. Then we extend the result to degenerate mobilities and singular (e.g. logarithmic) potentials. In the latter case we also establish the existence of the global attractor in dimension two. Using a similar technique, we show that there is a global attractor for the convective nonlocal Cahn-Hilliard equation with degenerate mobility and singular potential in dimension three. A. Di Castro, M. Novaga, R. Berardo, E. Valdinoci, Nonlocal quantitative isoperimetric inequalities, Calculus of Variations and Partial Differential Equations, 54 (2015), pp. 2421--2464. S. Dipierro, E. Valdinoci, On a fractional harmonic replacement, Discrete and Continuous Dynamical Systems, 35 (2015), pp. 3377--3392. Given $s &in;(0,1)$, we consider the problem of minimizing the Gagliardo seminorm in $H^s$ with prescribed condition outside the ball and under the further constraint of attaining zero value in a given set $K$. We investigate how the energy changes in dependence of such set. In particular, under mild regularity conditions, we show that adding a set $A$ to $K$ increases the energy of at most the measure of $A$ (this may be seen as a perturbation result for small sets $A$). Also, we point out a monotonicity feature of the energy with respect to the prescribed sets and the boundary conditions. S. Dipierro, O. Savin, E. Valdinoci, A nonlocal free boundary problem, SIAM Journal on Mathematical Analysis, 47 (2015), pp. 4559--4605. We consider a nonlocal free boundary problem built by a fractional Dirichlet norm plus a fractional perimeter. Among other results, we prove a monotonicity formula for the minimizers, glueing lemmata, uniform energy bounds, convergence results, a regularity theory for the planar cones and a trivialization result for the flat case. Several classical free boundary problems are limit cases of the one that we consider in this paper. R. Servadei, E. Valdinoci, The Brezis--Nirenberg result for the fractional Laplacian, Transactions of the American Mathematical Society, 367 (2015), pp. 67--102. L. Caffarelli, O. Savin , E. Valdinoci, Minimization of a fractional perimeter-Dirichlet integral functional, Annales de l'Institut Henri Poincare. Analyse Non Lineaire, 32 (2015), pp. 901--924. J. Dávila, M. Del Pino, S. Dipierro, E. Valdinoci, Concentration phenomena for the nonlocal Schrödinger equation with Dirichlet datum, Analysis & PDE, 8 (2015), pp. 1165--1235. For a smooth, bounded Euclidean domain, we consider a nonlocal Schrödinger equation with zero Dirichlet datum. We construct a family of solutions that concentrate at an interior point of the domain in the form of a scaling of the ground state in entire space. Unlike the classical case, the leading order of the associated reduced energy functional in a variational reduction procedure is of polynomial instead of exponential order on the distance from the boundary, due to the nonlocal effect. Delicate analysis is needed to overcome the lack of localization, in particular establishing the rather unexpected asymptotics for the Green function in the expanding domain. M.M. Fall, F. Mahmoudi, E. Valdinoci, Ground states and concentration phenomena for the fractional Schrödinger equation, Nonlinearity, 28 (2015), pp. 1937--1961. We consider here solutions of the nonlinear fractional Schrödinger equation. We show that concentration points must be critical points for the potential. We also prove that, if the potential is coercive and has a unique global minimum, then ground states concentrate suitably at such minimal point. In addition, if the potential is radial, then the minimizer is unique. E. Feireisl, E. Rocca, G. Schimperna, A. Zarnescu, Nonisothermal nematic liquid crystal flows with the Ball--Majumdar free energy, Annali di Matematica Pura ed Applicata. Serie Quarta. Fondazione Annali di Matematica Pura ed Applicata, c/o Dipartimento di Matematica ``U. Dini'', Firenze; Springer-Verlag, Heidelberg. English, French, German, Italian, English abstracts., 194 (2015), pp. 1269--1299. In this paper we prove the existence of global in time weak solutions for an evolutionary PDE system modelling nonisothermal Landau-de Gennes nematic liquid crystal (LC) flows in three dimensions of space. In our model, the incompressible Navier-Stokes system for the macroscopic velocity $vu$ is coupled to a nonlinear convective parabolic equation describing the evolution of the Q-tensor $QQ$, namely a tensor-valued variable representing the normalized second order moments of the probability distribution function of the LC molecules. The effects of the (absolute) temperature $vt$ are prescribed in the form of an energy balance identity complemented with a global entropy production inequality. Compared to previous contributions, we can consider here the physically realistic singular configuration potential $f$ introduced by Ball and Majumdar. This potential gives rise to severe mathematical difficulties since it introduces, in the Q-tensor equation, a term which is at the same time singular in $QQ$ and degenerate in $vt$. To treat it a careful analysis of the properties of $f$, particularly of its blow-up rate, is carried out. A. Fiscella, R. Servadei, E. Valdinoci, Asymptotically linear problems driven by fractional Laplacian operators, Mathematical Methods in the Applied Sciences, 38 (2015), pp. 3551--3563. In this paper we study a non-local fractional Laplace equation, depending on a parameter, with asymptotically linear right-hand side. Our main result concerns the existence of weak solutions for this equation and it is obtained using variational and topological methods. We treat both the nonresonant case and the resonant one. D.A. Gomes, S. Patrizi, Obstacle mean-field game problem, Interfaces and Free Boundaries. Mathematical Modelling, Analysis and Computation, 17 (2015), pp. 55--68. In this paper, we introduce and study a first-order mean-field game obstacle problem. We examine the case of local dependence on the measure under assumptions that include both the logarithmic case and power-like nonlinearities. Since the obstacle operator is not differentiable, the equations for first-order mean field game problems have to be discussed carefully. Hence, we begin by considering a penalized problem. We prove this problem admits a unique solution satisfying uniform bounds. These bounds serve to pass to the limit in the penalized problem and to characterize the limiting equations. Finally, we prove uniqueness of solutions. F. Punzo, E. Valdinoci, Uniqueness in weighted Lebesgue spaces for a class of fractional parabolic and elliptic equations, Journal of Differential Equations, 258 (2015), pp. 555--587. E. Rocca, R. Rossi, A degenerating PDE system for phase transitions and damage, Mathematical Models & Methods in Applied Sciences, 24 (2014), pp. 1265--1341. B. Barrios, I. Peral, F. Soria, E. Valdinoci, A Widder's type theorem for the heat equation with nonlocal diffusion, Archive for Rational Mechanics and Analysis, 213 (2014), pp. 629--650. L. Blank, M.H. Farshbaf Shaker, H. Garcke, V. Styles, Relating phase field and sharp interface approaches to structural topology optimization, ESAIM. Control, Optimisation and Calculus of Variations, 20 (2014), pp. 1025--1058. A phase field approach for structural topology optimization which allows for topology changes and multiple materials is analyzed. First order optimality conditions are rigorously derived and it is shown via formally matched asymptotic expansions that these conditions converge to classical first order conditions obtained in the context of shape calculus. We also discuss how to deal with triple junctions where e.g. two materials and the void meet. Finally, we present several numerical results for mean compliance problems and a cost involving the least square error to a target displacement. A. Cesaroni, M. Novaga, E. Valdinoci, A symmetry result for the Ornstein--Uhlenbeck operator, Discrete and Continuous Dynamical Systems, 34 (2014), pp. 2451--2467. R. Servadei, E. Valdinoci, On the spectrum of two different fractional operators, Proceedings of the Royal Society of Edinburgh. Section A. Mathematics, 144 (2014), pp. 831--855. N. Abatangelo, E. Valdinoci, A notion of nonlocal curvature, Numerical Functional Analysis and Optimization. An International Journal, 35 (2014), pp. 793--815. C. Bertoglio, A. Caiazzo, A tangential regularization method for backflow stabilization in hemodynamics, Journal of Computational Physics, 261 (2014), pp. 162--171. In computational simulations of fluid flows, instabilities at the Neumann boundaries may appear during backflow regime. It is widely accepted that this is due to the incoming energy at the boundary, coming from the convection term, which cannot be controlled when the velocity field is unknown. We propose a stabilized formulation based on a local regularization of the fluid velocity along the tangential directions on the Neumann boundaries. The stabilization term is proportional to the amount of backflow, and does not require any further assumption on the velocity profile. The perfomance of the method is assessed on a two- and three-dimensional Womersley flows, as well as considering a hemodynamic physiological regime in a patient-specific aortic geometry. M. Cozzi, A. Farina, E. Valdinoci, Gradient bounds and rigidity results for singular, degenerate, anisotropic partial differential equations, Communications in Mathematical Physics, 331 (2014), pp. 189--214. M.M. Fall, E. Valdinoci, Uniqueness and nondegeneracy of positive solutions of (-Delta) su+u=up in RN when s is close to 1, Communications in Mathematical Physics, 329 (2014), pp. 383--404. A. Farina, E. Valdinoci, Gradient bounds for anisotropic partial differential equations, Calculus of Variations and Partial Differential Equations, 49 (2014), pp. 923--936. A. Fiscella, E. Valdinoci, A critical Kirchhoff type problem involving a nonlocal operator, Nonlinear Analysis. Theory, Methods & Applications. An International Multidisciplinary Journal. Series A: Theory and Methods, 94 (2014), pp. 156--170. S. Melchionna, E. Rocca, On a nonlocal Cahn--Hilliard equation with a reaction term, Advances in Mathematical Sciences and Applications, 24 (2014), pp. 461--497. We prove existence, uniqueness, regularity and separation properties for a nonlocal Cahn- Hilliard equation with a reaction term. We deal here with the case of logarithmic potential and degenerate mobility as well an uniformly lipschitz in u reaction term g(x, t, u). A. Miranville, E. Rocca, G. Schimperna, A. Segatti, The Penrose--Fife phase-field model with coupled dynamic boundary conditions, Discrete and Continuous Dynamical Systems, 34 (2014), pp. 4259--4290. O. Savin, E. Valdinoci, Density estimates for a variational model driven by the Gagliardo norm, Journal de Mathématiques Pures et Appliquées, 101 (2014), pp. 1--26. D.A. Gomes, S. Patrizi, V. Voskanyan, On the existence of classical solutions for stationary extended mean field games, Nonlinear Analysis. Theory, Methods & Applications. An International Multidisciplinary Journal. Series A: Theory and Methods, 99 (2014), pp. 49--79. P.-É. Druet, Global Lipschitz continuity for elliptic transmission problems with a boundary intersecting interface, Mathematica Bohemica, 138 (2013), pp. 185--224. 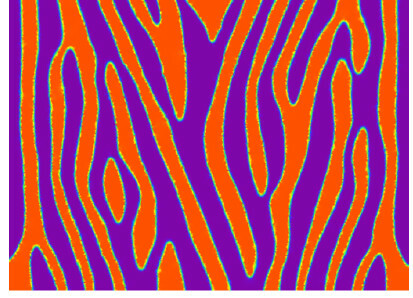 We investigate the regularity of the weak solution to elliptic transmission problems that involve two layered anisotropic materials separated by a boundary intersecting interface. Under a compatibility condition for the angle of contact of the two surfaces and the boundary data, we prove the existence of square-integrable second derivatives, and the global Lipschitz continuity of the solution. We show that the second weak derivatives remain integrable to a certain power less than two if the compatibility condition is violated. A. Farina, E. Valdinoci, On partially and globally overdetermined problems of elliptic type, American Journal of Mathematics, 135 (2013), pp. 1699--1726. D. Knees, A. Schröder, Global spatial regularity for elasticity models with cracks, contact and other nonsmooth constraints, Mathematical Methods in the Applied Sciences, 35 (2012), pp. 1859--1884. A global higher differentiability result in Besov spaces is proved for the displacement fields of linear elastic models with self contact. Domains with cracks are studied, where nonpenetration conditions/Signorini conditions are imposed on the crack faces. It is shown that in a neighborhood of crack tips (in 2D) or crack fronts (3D) the displacement fields are B 3/2 2,∞ regular. The proof relies on a difference quotient argument for the directions tangential to the crack. In order to obtain the regularity estimates also in the normal direction, an argument due to Ebmeyer/Frehse/Kassmann is modified. The methods are then applied to further examples like contact problems with nonsmooth rigid foundations, to a model with Tresca friction and to minimization problems with nonsmooth energies and constraints as they occur for instance in the modeling of shape memory alloys. Based on Falk's approximation Theorem for variational inequalities, convergence rates for FE-discretizations of contact problems are derived relying on the proven regularity properties. Several numerical examples illustrate the theoretical results. K. Kostourou, D. Peschka, A. Münch, B. Wagner, S. Herminghaus, R. Seemann, Interface morphologies in liquid/liquid dewetting, Chemical Engineering and Processing, 50 (2011), pp. 531--536. The dynamics and morphology of a liquid polystyrene (PS) film on the scale of a hundred nanometer dewetting from a liquid polymethylmethacrylate (PMMA) film is investigated experimentally and theoretically. The polymers considered here are both below their entanglement lengths and have negligible elastic properties. A theoretical model based on viscous Newtonian flow for both polymers is set up from which a system of coupled lubrication equations is derived and solved numerically. A direct comparison of the numerical solution with the experimental findings for the characteristic signatures of the cross-sections of liquid/air and liquid/liquid phase boundaries of the dewetting rims as well as the dewetting rates is performed and discussed for various viscosity ratios of the PS and PMMA layers. CH. Kraus, The degenerate and non-degenerate Stefan problem with inhomogeneous and anisotropic Gibbs--Thomson law, European Journal of Applied Mathematics, 22 (2011), pp. 393--422. The Stefan problem is coupled with a spatially inhomogeneous and anisotropic Gibbs-Thomson condition at the phase boundary. We show the long-time existence of weak solutions for the non-degenerate Stefan problem with a spatially inhomogeneous and anisotropic Gibbs-Thomson law and a conditional existence result for the corresponding degenerate Stefan problem. To this end approximate solutions are constructed by means of variational functionals with spatially inhomogeneous and anisotropic interfacial energy. By passing to the limit, we establish solutions of the Stefan problem with a spatially inhomogeneous and anisotropic Gibbs-Thomson law in a weak generalized BV-formulation. P. Krejčí, E. Rocca, J. Sprekels, A bottle in a freezer, SIAM Journal on Mathematical Analysis, 41 (2009), pp. 1851-1873. O. Klein, F. Luterotti, R. Rossi, Existence and asymptotic analysis of a phase field model for supercooling, Quarterly of Applied Mathematics, 64 (2006), pp. 291-319. W. Dreyer, B. Wagner, Sharp-interface model for eutectic alloys. Part I: Concentration dependent surface tension, Interfaces and Free Boundaries. Mathematical Modelling, Analysis and Computation, 7 (2005), pp. 199--227. W. Dreyer, W.H. Müller, A study of the coarsening in tin/lead solders, International Journal of Solids and Structures, 37 (2000), pp. 3841--3871. D. Peschka, Numerics of contact line motion for thin films, in: 8th Vienna International Conference on Mathematical Modelling -- MATHMOD 2015, 48 of IFAC-PapersOnLine, Elsevier, 2015, pp. 390--393. M.H. Farshbaf Shaker, T. Fukao, N. Yamazaki, Singular limit of Allen--Cahn equation with constraints and its Lagrange multiplier, in: Dynamical Systems, Differential Equations and Applications, AIMS Proceedings 2015, Proceedings of the 10th AIMS International Conference (Madrid, Spain), M. DE León, W. Feng, Z. Feng, X. Lu, J.M. Martell, J. Parcet, D. Peralta-Salas, W. Ruan, eds., AIMS Proceedings, American Institute of Mathematical Sciences, 2015, pp. 418--427. We consider the Allen-Cahn equation with constraint. Our constraint is the subdifferential of the indicator function on the closed interval, which is the multivalued function. In this paper we give the characterization of the Lagrange multiplier to our equation. Moreover, we consider the singular limit of our system and clarify the limit of the solution and the Lagrange multiplier to our problem. L. Blank, M.H. Farshbaf Shaker, C. Hecht, J. Michl, Ch. Rupprecht, Optimal control of Allen--Cahn systems, in: Trends in PDE Constrained Optimization, G. Leugering, P. Benner ET AL., eds., 165 of International Series of Numerical Mathematics, Birkhäuser, Basel et al., 2014, pp. 11--26. L. Blank, M.H. Farshbaf Shaker, H. Garcke, Ch. Rupprecht, V. Styles, Multi-material phase field approach to structural topology optimization, in: Trends in PDE Constrained Optimization, G. Leugering, P. Benner ET AL., eds., 165 of International Series of Numerical Mathematics, Birkhäuser, Basel et al., 2014, pp. 231--246. R. Rossi, U. Stefanelli, M. Thomas, Rate-independent evolution of sets, Preprint no. 2578, WIAS, Berlin, 2019, DOI 10.20347/WIAS.PREPRINT.2578 . The goal of this work is to analyze a model for the rate-independent evolution of sets with finite perimeter. The evolution of the admissible sets is driven by that of a given time-dependent set, which has to include the admissible sets and hence is to be understood as an external loading. The process is driven by the competition between perimeter minimization and minimization of volume changes. In the mathematical modeling of this process, we distinguish the adhesive case, in which the constraint that the (complement of) the `external load' contains the evolving sets is penalized by a term contributing to the driving energy functional, from the brittle case, enforcing this constraint. The existence of Energetic solutions for the adhesive system is proved by passing to the limit in the associated time-incremental minimization scheme. In the brittle case, this time-discretization procedure gives rise to evolving sets satisfying the stability condition, but it remains an open problem to additionally deduce energy-dissipation balance in the time-continuous limit. This can be obtained under some suitable quantification of data. The properties of the brittle evolution law are illustrated by numerical examples in two space dimensions. D. Peschka, M. Thomas, T. Ahnert, A. Münch, B. Wagner, Gradient structures for flows of concentrated suspensions, Preprint no. 2543, WIAS, Berlin, 2018, DOI 10.20347/WIAS.PREPRINT.2543 . D. Peschka, S. Haefner, K. Jacobs, A. Münch, B. Wagner, Signatures of slip in dewetting polymer films, Preprint no. 2538, WIAS, Berlin, 2018, DOI 10.20347/WIAS.PREPRINT.2538 . Thin liquid polymer films on hydrophobic substrates are susceptable to rupture and formation of holes, which in turn initiate a complex dewetting process that eventually evolves into characteristic stationary droplet patterns. Experimental and theoretical studies suggest that the specific type of droplet pattern largely depends on the nature of the polymer-substrate boundary condition. To follow the morphological evolution numerically over long time scales and for the multiple length scales involved has so far been a major challenge. In this study a highly adaptive finite-element based numerical scheme is presented that allows for large-scale simulations to follow the evolution of the dewetting process deep into the nonlinear regime of the model equations, capturing the complex dynamics including shedding of droplets. In addition, the numerical results predict the previouly unknown shedding of satellite droplets during the destabilisation of liquid ridges, that form during the late stages of the dewetting process. While the formation of satellite droplets is well-known in the context of elongating fluid filaments and jets, we show here that for dewetting liquid ridges this property can be dramatically altered by the interfacial condition between polymer and substrate, namely slip. C. Bertoglio, A. Caiazzo, Y. Bazilevs, M. Braack, M. Esmaily-Moghadam, V. Gravemeier, A.L. Marsden, O. Pironneau, I.E. Vignon-Clementel, W.A. Wall, Benchmark problems for numerical treatment of backflow at open boundaries, Preprint no. 2372, WIAS, Berlin, 2017, DOI 10.20347/WIAS.PREPRINT.2372 . In computational fluid dynamics, incoming velocity at open boundaries, or backflow, often yields to unphysical instabilities already for moderate Reynolds numbers. Several treatments to overcome these backflow instabilities have been proposed in the literature. However, these approaches have not yet been compared in detail in terms of accuracy in different physiological regimes, in particular due to the difficulty to generate stable reference solutions apart from analytical forms. In this work, we present a set of benchmark problems in order to compare different methods in different backflow regimes (with a full reversal flow and with propagating vortices after a stenosis). The examples are implemented in FreeFem++ and the source code is openly available, making them a solid basis for future method developments. D. Peschka, Mathematical modeling and simulation of substrate-flow interaction using generalized gradient flow, Begutachtungskolloquium für die Anträge des SPP 2171 ``Dynamische Benetzung flexibler, adaptiver und schaltbarer Oberflächen", Mainz, February 7 - 8, 2019. M. Thomas, Rate-independent evolution of sets and application to fracture processes, 90th Annual Meeting of the International Association of Applied Mathematics and Mechanics (GAMM 2019), Section S14 ``Applied Analysis", February 18 - 22, 2019, Universität München, Technische Universität München, Austria, February 20, 2019. J.A. Brüggemann, Path-following methods for a class of elliptic obstacle-type quasi-variational problems with integral constraints, 23rd International Symposium on Mathematical Programming (ISMP2018), Session 370 ``Variational Analysis 4'', July 1 - 6, 2018, Bordeaux, France, July 2, 2018. M. Thomas, D. Peschka, B. Wagner, V. Mehrmann, M. Rosenau, Modeling and analysis of suspension flows, MATH+ Center Days 2018, October 31 - November 2, 2018, Zuse-Institut Berlin (ZIB), Berlin, October 31, 2018. M. Thomas, Analysis and simulation for a phase-field fracture model at finite strains based on modified invariants, 89th Annual Meeting of the International Association of Applied Mathematics and Mechanics (GAMM 2018), Section DFG Priority Programmes PP1748 ``Reliable Simulation Techniques in Solid Mechanics. Development of Non-standard Discretization Methods, Mechanical and Mathematical Analysis'', March 19 - 23, 2018, Technische Universität München, March 20, 2018. M. Thomas, Analysis and simulation for a phase-field fracture model at finite strains based on modified invariants, Workshop ``Special Materials and Complex Systems'' (SMACS 2018), June 18 - 22, 2018, University of Milan/University of Pavia, Gargnano, Italy, June 18, 2018. M. Thomas, Analysis and simulation for a phase-field fracture model at finite strains based on modified invariants, Analysis Seminar, University of Brescia, Department of Mathematics, Italy, May 10, 2018. M. Thomas, Gradient structures for flows of concentrated suspensions, The 12th AIMS Conference on Dynamical Systems, Differential Equations and Applications, Special Session 18 ``Emergence and Dynamics of Patterns in Nonlinear Partial Differential Equations and Related Fields'', July 5 - 9, 2018, National Taiwan University, Taipeh, Taiwan, Province Of China, July 7, 2018. M. Hintermüller, Nonsmooth structures in PDE constrained optimization, Mathematisches Kolloquium, Universität Bielefeld, Fakultät für Mathematik, June 7, 2017. C.N. Rautenberg, Dissipative and non-dissipative evolutionary quasi-variational inequalities with derivative constraints, Joint Meeting of the Italian Mathematical Union, the Italian Society of Industrial and Applied Mathematics and the Polish Mathematical Society, Session 14 ``Nonlinear Variational Methods with Applications'', September 17 - 20, 2018, Wroclaw, Poland, September 19, 2018. A. Alphonse, Optimal control of elliptic and parabolic quasi-variational inequalities, Annual Meeting of the DFG Priority Programme 1962, October 9 - 11, 2017, Kremmen (Sommerfeld), October 10, 2017. D. Peschka, Mathematical and numerical approaches to moving contact lines, Scuola Internazionale Superiore di Studi Avanzati (SISSA), Trieste, Italy, December 6, 2017. D. Peschka, Motion of thin droplets over surfaces, Making a Splash -- Driplets, Jets and Other Singularities, March 20 - 24, 2017, Brown University, Institute for Computational and Experimental Research in Mathematics (ICERM), Providence, USA, March 22, 2017. D. Peschka, Variational structure of fluid motion with contact lines in thin-film models, Kolloquium Angewandte Mathematik, Universität der Bundeswehr, München, May 31, 2017. M. Hintermüller, Adaptive finite element solvers for MPECs in function space, SIAM Conference on Optimization, Minisymposium MS122 ``Recent Trends in PDE-Constrained Optimization'', May 22 - 25, 2017, Vancouver, British Columbia, Canada, May 25, 2017. M. Hintermüller, Generalized Nash games with partial differential equations, Kolloquium Arbeitsgruppe Modellierung, Numerik, Differentialgleichungen, Technische Universität Berlin, June 20, 2017. M. Hintermüller, Non-smooth structures in PDE-constrained optimization, Mathematisches Kolloquium, Universität Duisburg-Essen, Fakultät für Mathematik, Essen, January 11, 2017. M. Hintermüller, Nonsmooth structures in PDE constrained optimization, Optimization Seminar, Chinese Academy of Sciences, State Key Laboratory of Scientific and Engineering Computing, Beijing, China, June 6, 2017. M. Hintermüller, Optimal control of multiphase fluids and droplets, Kolloquium, Friedrich-Alexander-Universität Erlangen-Nürnberg, Department Mathematik, Erlangen, May 2, 2017. M. Hintermüller, Optimal control of multiphase fluids based on non smooth models, 14th International Conference on Free Boundary Problems: Theory and Applications, Theme Session 8 ``Optimization and Control of Interfaces'', July 9 - 14, 2017, Shanghai Jiao Tong University, China, July 10, 2017. M. Hintermüller, Recent trends in PDE-constrained optimization with non-smooth structures, Fourth Conference on Numerical Analysis and Optimization (NAOIV-2017), January 2 - 5, 2017, Sultan Qaboos University, Muscat, Oman, January 4, 2017. D. Peschka, A free boundary problem for the flow of viscous liquid bilayers, ERC Workshop on Modeling Materials and Fluids using Variational Methods, February 22 - 26, 2016, WIAS Berlin, Berlin, February 26, 2016. D. Peschka, A free boundary problem for the motion of viscous liquids, 7th European Congress of Mathematics (7ECM), Minisymposium 29 ``Nonsmooth PDEs in the Modeling Damage, Delamination, and Fracture'', July 18 - 22, 2016, Technische Universität Berlin, July 22, 2016. D. Peschka, Multi-phase flows with contact lines: Solid vs liquid substrates, Industrial and Applied Mathematics Seminar, University of Oxford, Mathematical Institute, UK, October 27, 2016. D. Peschka, Thin film free boundary problems --- Modeling of contact line dynamics with gradient formulations, CeNoS-Kolloquium, Westfälische Wilhelms-Universität Münster, Center for Nonlinear Science, January 12, 2016. E. Valdinoci, A notion of fractional perimeter and nonlocal minimal surfaces, Seminar, Universitá del Salento, Dipartimento di Matematics e Fisica ``Ennio de Giorgi'', Lecce, Italy, June 22, 2016. E. Valdinoci, Interior and boundary properties of nonlocal minimal surfaces, Calcul des Variations & EDP, Université Aix-Marseille, Institut de Mathématiques de Marseille, France, February 25, 2016. E. Valdinoci, Interior and boundary properties on nonlocal minimal surfaces, 3rd Conference on Nonlocal Operators and Partial Differential Equations, June 27 - July 1, 2016, Bedlewo, Poland, June 27, 2016. E. Valdinoci, Nonlocal Equations and Applications, Spring School on Nonlinear PDEs and Related Problems, January 15 - 19, 2016, African Institute for Mathematical Sciences (AIMS), Mbour, Senegal. E. Valdinoci, Nonlocal equations and applications, Calculus of Variations and Nonlinear Partial Differential Equations, May 16 - 27, 2016, Columbia University, Department of Mathematics, New York, USA, May 25, 2016. E. Valdinoci, Nonlocal equations from various perspectives, PIMS Workshop on Nonlocal Variational Problems and PDEs, June 13 - 17, 2016, University of British Columbia, Vancouver, Canada, June 13, 2016. E. Valdinoci, Nonlocal minimal surface, Justus-Liebig-Universität Gießen, Fakultät für Mathematik, February 10, 2016. E. Valdinoci, Nonlocal minimal surfaces, Analysis, PDEs, and Geometry Seminar, Monash University, Clayton, Australia, August 9, 2016. 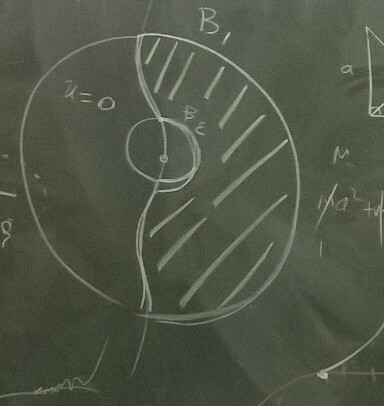 E. Valdinoci, Nonlocal minimal surfaces, a geometric and analytic insight, Seminar on Differential Geometry and Analysis, Otto-von-Guericke-Universität Magdeburg, January 18, 2016. E. Valdinoci, Nonlocal minimal surfaces: Regularity and quantitative properties, Conference on Recent Trends on Elliptic Nonlocal Equations, The Fields Institute for Research in Mathematical Sciences, Toronto, Canada, June 9, 2016. M.H. Farshbaf Shaker, A phase field approach for optimal boundary control of damage processes in two-dimensional viscoelastic media, International INdAM Conference ``Optimal Control for Evolutionary PDEs and Related Topics (OCERTO 2016)'', June 20 - 24, 2016, Cortona, Italy, June 21, 2016. S.P. Frigeri, On a diffuse interface model of tumor growth, 9th European Conference on Elliptic and Parabolic Problems, May 23 - 27, 2016, University of Zurich, Institute of Mathematics, Gaeta, Italy, May 23, 2016. M. Hintermüller, Nonsmooth structures in PDE constrained optimization, 66th Workshop ``Advances in Convex Analysis and Optimization'', July 5 - 10, 2016, International Centre for Scientific Culture ``E. Majorana'', School of Mathematics ``G. Stampacchia'', Erice, Italy, July 9, 2016. M. Hintermüller, Optimal control of multiphase fluids and droplets, WIAS-PGMO Workshop on Nonsmooth and Stochastic Optimization with Applications to Energy Management, May 10 - 12, 2016, WIAS Berlin, May 11, 2016. M. Hintermüller, Optimal control of multiphase fluids and droplets, The Fifth International Conference on Continuous Optimization, Session: ``Recent Developments in PDE-constrained Optimization I'', August 6 - 11, 2016, Tokyo, Japan, August 10, 2016. M. Hintermüller, Optimal control of multiphase fluids and droplets, Salzburg Mathematics Colloquium, Universität Salzburg, Fachbereich Mathematik, Austria, June 9, 2016. M. Hintermüller, Recent trends in optimal control problems with nonsmooth structures, Computational Methods for Control of Infinite-dimensional Systems, March 14 - 18, 2016, Institute for Mathematics and its Applications, Minneapolis, USA, March 14, 2016. M. Hintermüller, Towards sharp stationarity conditions for classes of optimal control problems for variational inequalities of the second kind, International INdAM Conference ``Optimal Control for Evolutionary PDEs and Related Topics (OCERTO 2016)'', June 20 - 24, 2016, Cortona, Italy, June 20, 2016. E. Valdinoci, Nonlocal equations in phase transitions, minimal surfaces, crystallography and life sciences, Escuela CAPDE Ecuaciones diferenciales parciales no lineales, Universidad de Chile, Facultad de Ciencias Físicas y Matemáticas, Santiago de Chile, Chile. E. Cinti, A quantitative weighted isoperimetric inequality via the ABP method, Oberseminar Analysis, Universität Bonn, Institut für Angewandte Mathematik, February 5, 2015. E. Cinti, Quantitative isoperimetric inequality via the ABP method, Università di Bologna, Dipartimento di Matematica, Bologna, Italy, July 17, 2015. S. Patrizi, Dislocations dynamics: From microscopic models to macroscopic crystal plasticity, Analysis Seminar, The University of Texas at Austin, Department of Mathematics, USA, January 21, 2015. S. Patrizi, Dislocations dynamics: From microscopic models to macroscopic crystal plasticity, Seminar, King Abdullah University of Science and Technologie, SRI -- Center for Uncertainty Quantification in Computational Science & Engineering, Jeddah, Saudi Arabia, March 25, 2015. S. Patrizi, On a long range segregation model, Seminar, Università degli Studi di Salerno, Dipartimento di Matematica, Italy, May 19, 2015. S. Patrizi, On a long range segregation model, Seminario di Analisi Matematica, Sapienza Università di Roma, Dipartimento di Matematica ``Guido Castelnuovo'', Italy, April 20, 2015. E. Rocca, Optimal control of a nonlocal convective Cahn--Hilliard equation by the velocity, Numerical Analysis Seminars, Durham University, UK, March 13, 2015. S.P. Frigeri, On a diffuse interface model of tumor growth, INdAM Workshop ``Special Materials in Complex Systems -- SMaCS 2015'', May 18 - 22, 2015, Rome, Italy, May 22, 2015. S.P. Frigeri, On a nonlocal diffuse interface model for binary incompressible fluids with different densities, Mathematical Thermodynamics of Complex Fluids, June 28 - July 3, 2015, Fondazione CIME ``Roberto Conti'' (International Mathematical Summer Center), Cetraro, Italy, July 2, 2015. S.P. Frigeri, Recent results on optimal control for Cahn--Hilliard/Navier--Stokes systems with nonlocal interactions, Control Theory and Related Topics, April 13 - 14, 2015, Politecnico di Milano, Italy, April 13, 2015. M. Heida, Modeling of fluid interfaces, Jahrestagung der Deutschen Mathematiker-Vereinigung, Minisymposium ``Mathematics of Fluid Interfaces'', September 21 - 25, 2015, Universität Hamburg, Fakultät für Mathematik, Informatik und Naturwissenschaften, Hamburg, September 23, 2015. D. Peschka, Droplets on liquids and their long way into equilibrium, Minisymposium ``Recent Progress in Modeling and Simulation of Multiphase Thin-film Type Problems'' of the 8th International Congress on Industrial and Applied Mathematics (ICIAM 2015), August 10 - 14, 2015, International Council for Industrial and Applied Mathematics, Beijing, China, August 12, 2015. D. Peschka, Modeling and applications of bilayer flows, Seminar of the Research Training Group GRK 1276 ``Structure Formation and Transport in Complex Systems'', Universität des Saarlandes, Institut für Theoretische Physik, Saarbrücken, January 27, 2015. D. Peschka, Numerics of contact line motion for thin films, MATHMOD 2015, Minisymposium ``Free Boundary Problems in Applications: Recent Advances in Modelling, Simulation and Optimization'', February 17 - 20, 2015, Technische Universität Wien, Institut für Analysis und Scientific Computing, Wien, Austria, February 19, 2015. D. Peschka, Thin-film equations with free boundaries, Jahrestagung der Deutschen Mathematiker-Vereinigung, Minisymposium ``Mathematics of Fluid Interfaces'', September 21 - 25, 2015, Universität Hamburg, Fakultät für Mathematik, Informatik und Naturwissenschaften, Hamburg, September 23, 2015. E. Valdinoci, Dislocation dynamics in crystals: Nonlocal effects, collisions and relaxation, Mostly Maximum Principle, September 16 - 18, 2015, Castello Aragonese, Agropoli, Italy, September 16, 2015. E. Valdinoci, Dislocation dynamics in crystals: Nonlocal effects, collisions and relaxation, Second Workshop on Trends in Nonlinear Analysis, September 24 - 26, 2015, GNAMPA, Universitá degli Studi die Cagliari, Dipartimento di Matematica e Informatica, Cagliari, Italy, September 26, 2015. E. Valdinoci, Minimal surfaces and phase transitions with nonlocal interactions, Analysis Seminar, University of Edinburgh, School of Mathematics, UK, March 23, 2015. E. Valdinoci, Nonlocal Problems in Analysis and Geometry, 2° Corso Intensivo di Calcolo delle Variazioni, June 15 - 20, 2015, Dipartimento di Matematica e Informatica di Catania, Italy. E. Valdinoci, Nonlocal minimal surfaces, Seminario di Calcolo delle Variazioni & Equazioni alle Derivate Parziali, Università degli Studi di Firenze, Dipartimento di Matematica e Informatica ``Ulisse Dini'', Italy, March 13, 2015. E. Valdinoci, Nonlocal problems -- Theory and applications, School/Workshop ``Phase Transition Problems and Nonlinear PDEs'', March 9 - 11, 2015, Università di Bologna, Dipartimento di Matematica. E. Valdinoci, Nonlocal problems and applications, Summer School on ``Geometric Methods for PDEs and Dynamical Systems'', June 8 - 11, 2015, École Normale Supérieure de Lyon, Unité de Mathématiques Pures et Appliquées and Institut de Mathématiques, Equipe d'Analyse, Université Bordeaux 1, Porquerolles, France. E. Valdinoci, Some models arising in crystal dislocations, Global Dynamics in Hamiltonian Systems, June 28 - July 4, 2015, Universitat Politècnica de Catalunya (BarcelonaTech), Girona, Spain, June 29, 2015. E. Valdinoci, What is the (fractional) Laplacian?, Perlen-Kolloquium, Universität Basel, Fachbereich Mathematik, Switzerland, May 22, 2015. E. Rocca, ``Entropic'' solutions to a thermodynamically consistent PDE system for phase transitions and damage, Symposium on Trends in Application of Mathematics to Mechanics (STAMM), September 8 - 11, 2014, International Society for the Interaction of Mechanics and Mathematics (ISIMM), Poitiers, France, September 9, 2014. E. Valdinoci, (Non)local interfaces and minimal surfaces, International Conference on ``Nonlinear Phenomena in Biology'', March 5 - 7, 2014, Helmholtz Zentrum München -- Deutsches Forschungszentrum für Gesundheit und Umwelt, March 5, 2014. E. Valdinoci, Concentrating solutions for a nonlocal Schroedinger equation, Nonlinear Partial Differential Equations and Stochastic Methods, June 7 - 11, 2014, University of Jyväskylä, Finland, June 10, 2014. E. Valdinoci, Concentration phenomena for nonlocal equation, Méthodes Géométriques et Variationnelles pour des EDPs Non-linéaires, September 1 - 5, 2014, Université C. Bernard, Lyon 1, Institut C. Jordan, France, September 2, 2014. E. Valdinoci, Concentration solutions for a nonlocal Schroedinger equation, Kinetics, Non Standard Diffusion and the Mathematics of Networks: Emerging Challenges in the Sciences, May 7 - 16, 2014, The University of Texas at Austin, Department of Mathematics, USA, May 14, 2014. E. Valdinoci, Dislocation dynamics and fractional equations, Analysis Seminar, Heriot-Watt University of Edinburgh, London, UK, October 31, 2014. E. Valdinoci, Dislocation dynamics and fractional equations, Analysis Seminar, University of Texas at Austin Mathematics, USA, November 5, 2014. E. Valdinoci, Dislocation dynamics in crystals, Recent Advances in Non-local and Non-linear Analysis: Theory and Applications, June 10 - 14, 2014, FIM -- Institute for Mathematical Research, ETH Zuerich, Switzerland, June 13, 2014. E. Valdinoci, Dislocation dynamics in crystals, Geometry and Analysis Seminar, Columbia University, Department of Mathematics, New York City, USA, April 3, 2014. E. Valdinoci, Dislocation dynamics in crystals, Seminari di Analisi Matematica, Università di Torino, Dipartimento di Matematica ``Giuseppe Peano'', Italy, December 18, 2014. E. Valdinoci, Gradient estimates and symmetry results in anisotropic media, The 10th AIMS Conference on Dynamical Systems, Differential Equations and Applications, Special Session 76: Viscosity, Nonlinearity and Maximum Principle, July 7 - 11, 2014, Madrid, Spain, July 8, 2014. E. Valdinoci, Nonlinear PDEs, Spring School on Nonlinear PDEs, March 24 - 27, 2014, INdAM Istituto Nazionale d'Alta Matematica, Sapienza -- Università di Roma, Italy. E. Valdinoci, Nonlocal equations and applications, Seminario de Ecuaciones Diferenciales, Universidad de Granada, IEMath-Granada, Spain, November 8, 2019. E. Valdinoci, Nonlocal minimal surfaces, The 10th AIMS Conference on Dynamical Systems, Differential Equations and Applications, Special Session 96: Geometric Variational Problems with Associated Stability Estimates, July 7 - 11, 2014, Madrid, Spain, July 8, 2014. E. Valdinoci, Nonlocal minimal surfaces and free boundary problems, Geometric Aspects of Semilinear Elliptic and Parabolic Equations: Recent Advances and Future Perspectives, May 25 - 30, 2014, Banff International Research Station for Mathematical Innovation and Discovery, Calgary, Canada, May 27, 2014. E. Valdinoci, Nonlocal problems in analysis and geometry, December 1 - 5, 2014, Universidad Autonoma de Madrid, Departamento de Matemáticas, Spain. E. Valdinoci, Some nonlocal aspects of partial differential equations and free boundary problems, Institutskolloquium, Weierstrass Institut Berlin (WIAS), January 13, 2014. M.H. Farshbaf Shaker, A deep quench approach to the optimal control of an Allen--Cahn equation with dynamic boundary conditions and double obstacles, Conference on Partial Differential Equations, May 28 - 31, 2014, Novacella, Italy, May 29, 2014. M.H. Farshbaf Shaker, Relating phase field and sharp interface approaches to structural topology optimization, SADCO-WIAS Young Researcher Workshop, January 29 - 31, 2014, WIAS, January 31, 2014. TH. Petzold, On the sharp interface limit of a phase field model with mechanical effects applied to phase transitions in steel, Universität Bremen, Zentrum für Technomathematik, May 22, 2013. J. Sprekels, A time discretization for a nonstandard viscous Cahn--Hilliard system, INDAM Workshop PDEs for Multiphase Advanced Materials (ADMAT2012), September 17 - 21, 2012, Cortona, Italy, September 19, 2012. K. Götze, Starke Lösungen für die Interaktion von starren Körpern und viskoelastischen Flüssigkeiten, Lectures in Continuum Mechanics, Universität Kassel, Institut für Mathematik, November 7, 2011. W. Dreyer, Phase transitions and kinetic relations, Séminaire Fluides Compressibles, Université Pierre et Marie Curie, Laboratoire Jacques-Louis Lions, Paris, France, September 30, 2009. W. Dreyer, Phase transitions during hydrogen storage and in lithium-ion batteries, EUROTHERM Seminar no. 84: Thermodynamics of Phase Changes, May 25 - 27, 2009, Université Catholique de Louvain, Namur, Belgium, May 27, 2009. L. Caffarelli, X. Ros-Oton, J. Serra, Obstacle problems for integro-differential operators: Regularity of solutions and free boundaries, Preprint no. arXiv:1601.05843, Cornell University Library, arXiv.org, 2016.
erential operators: we establish similar regularity results for obstacle problems with convex operators. X. Ros-Oton, J. Serra, The structure of the free boundary in the fully nonlinear thin obstacle problem, Preprint no. arXiv:1603.09292, Cornell University Library, arXiv.org, 2016. We study the regularity of the free boundary in the fully nonlinear thin obstacle problem. Our main result establishes that the free boundary is C$^1$ near regular points. D.A. Gomes, S. Patrizi, Obstacle mean-field game problem, Preprint no. arXiv:1410.6942, Cornell University Library, arXiv.org, 2014.